The TM collaborative robots from Omron aim to enable safe, flexible and collaborative manufacturing between human and machine. The TM series provides a solution to easily install a robot to automate applications such as picking, packing and screwdriving. 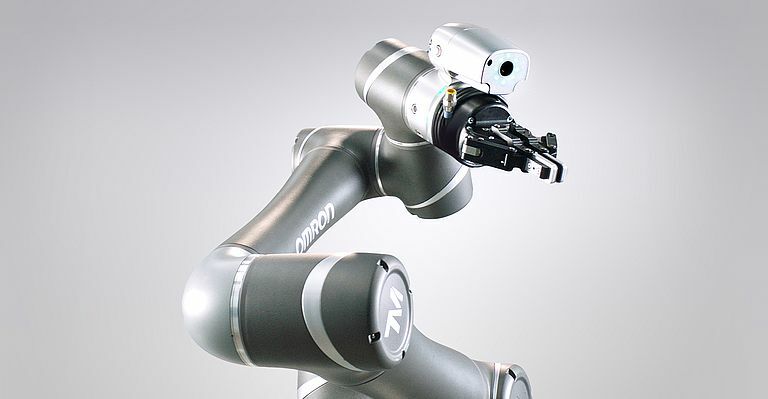 Omron has launched 12 robots including a “mobile-compatible” one that seamlessly integrates into LD series autonomous mobile robot, enabling users to automate more complex tasks. The flowchart-based intuitive programming interface and easy teaching requires little to no previous robot programming experience. The robots have a built-in vision and an integrated lighting, and can make inspection or measurement when equipped with image sensing functions. The TM series complies with safety standards ISO10248-1 and ISO/TS15066, allowing safe cooperation between human and machine without industrial safety fencing.